April has already been a busy month for Adobe. Here, we round-up the company's recent announcements. April has already been a busy month for Adobe. Here, we round-up the company's recent announcements, which include new tools for After Effects, Premiere Pro and Photoshop, a new Lightroom mobile app for iPad and the next step towards the death of Flash support. On 2 April, Adobe announced updates to After Effects CC, Premiere Pro CC and other video post-production tools within its Creative Cloud software suite – plus the Adobe Anywhere networked editing environment. 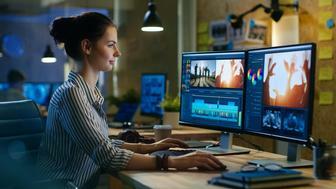 These updates are based around three key trends, says Adobe: 4K video, file-less workflows and distribution of content to multiple devices with varying resolutions and capabilities. There are also some new creative features too. Adobe has said that this update to its video tools, which is expected "in the coming months" will be not be followed by another major update until the IBC trade show in Amsterdam in September. Find out about all of the new features in After Effects CC, Premiere Pro CC, Adobe Anywhere and other CC tools here. More updates arrived on 8 April, including updates to Photoshop CC and CS6 that include Camera RAW 4.8 and more. With the announcement of these updates, Adobe also announced that Photoshop will no longer support Flash-based extensions such as Mini Bridge and Kuler, and that the Oil Paint Filter is also in for the chop. 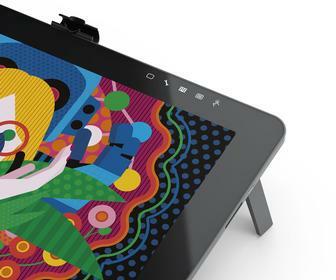 Find out what's new in Photoshop CC and CS6 here. In addition to the new Photoshop updates on 8 April, Adobe also announced Lightroom mobile, bringing the desktop photo editing software to iPad. The app, which is available to all Adobe Creative Cloud subscribers and subscribers to the Photoshop Photography Program, brings tools that Lightroom users will already be familiar with to Apple's tablet, including cropping and editing tools and filters. Find out more about Adobe Lightroom mobile here.